In our school hallway we have a dry erase board that asks rich, low floor high ceiling questions. 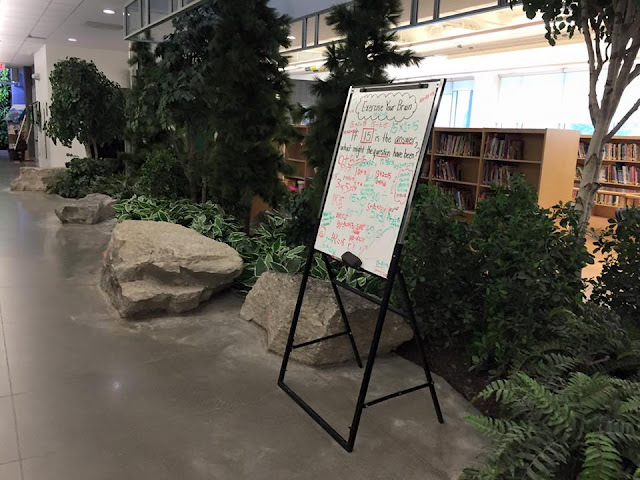 Students and staff that walk by are encouraged to consider the question for a few days and then contribute their ideas using dry erase markers. 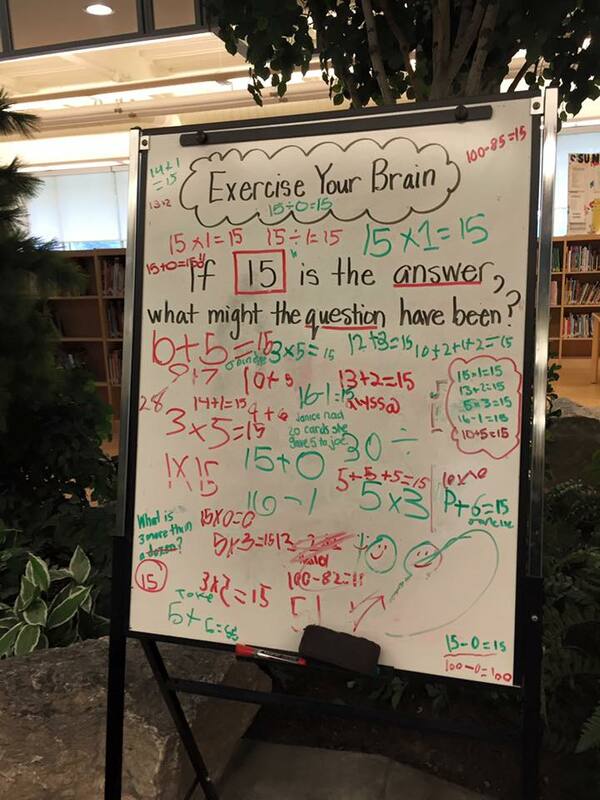 It's an excellent way to create a culture of mathematical thinking and growth mindset as we learn together with one another! I've created something similar on this blog. The padlet image below is actually an interactive virtual 'whiteboard' where you can share ideas in an online space. Our class is hoping you might consider asking your students the question "If 24 is the answer, then what might the question have been?" and then posting your ideas, along with your location, to the padlet. We can't wait to see what you discover and also the reach that our blog has!